 The Scene Magazine - Page 4551 of 4581 - What's up Toronto? The evening started off with a nice hot bowl of fresh Won Ton Soup followed by a nice crispy egg roll. The buffet was an aray of Chinese foods and Canadian foods, Won tons, Fries, Egg Rolls, with your choice of sauces for appetizers, along with either Wonton Soup or what we would call homemade beef and veggie soup. After taking in the dishes, I decided on Noodles, chicken chop suey, chicken with veggies in black bean sauce, and a bit of sweet and sour pork and that just scrapped the surface of the dozen or so choices. The friendly staffs were only a step away and everyone was there to help you out with suggestions, or if you werent familiar with the dishes theyd be more than happy to describe it for you, or help turn your fancy to something you might like. As well, they take suggestions from the patrons on adding new dishes too. If theres something that a lot of people like theyll add it to the buffet. I believe the part of the buffet that gives this place an edge is the fact that they mix traditional dishes with familiar restaurant favorites, so each time you go there youd be surprised each time there is something different to try. This time it was sushi, another time they had calamari. The deserts are a full table that changes each time your there, and the best part is for the most part they’re homemade.